In his first address to the nation as Prime Minister, Imran Khan singled out growing debt as one of Pakistan’s fundamental economic challenges and reiterated his personal aversion to the proverbial ‘begging bowl’. This was a thinly veiled reference to Pakistan’s historic reliance on, some would say addiction to, the International Monetary Fund (IMF) as a source of borrowing. Employing such rhetoric is a rite of passage for every new government, blaming the previous one for handing over a struggling economy. In doing so, newly-elected leaders hope to limit the political fallout from tough decisions they know are unavoidable. And the toughest decision facing Prime Minister Khan and his economic team right now is how to avert a looming balance-of-payments crisis. According to the State Bank of Pakistan (SBP), the current account deficit for fiscal year 2017-18 ballooned to $18 billion, 44% higher than last year. Put simply, this means that exports and remittances fell far short of covering much higher levels of imports. Net FDI and the SBP’s reserves are not enough to make up this shortfall. Factoring in interest payments on foreign debt coming due this fiscal year, the macroeconomic accounting is clear. Pakistan simply does not have enough foreign currency to meet its short-term financial liabilities and trade needs. And since our central bank cannot print dollars, we must borrow them from someone. And this brings us back to the IMF. The Fund has played the role of the ‘lender of last resort’ for developing countries across Latin America, Africa and Asia for decades. But its emergency loans come with standard neoliberal policy prescriptions of austerity, forcing governments to cut social spending, drastically, hike interest rates and slap additional taxes. 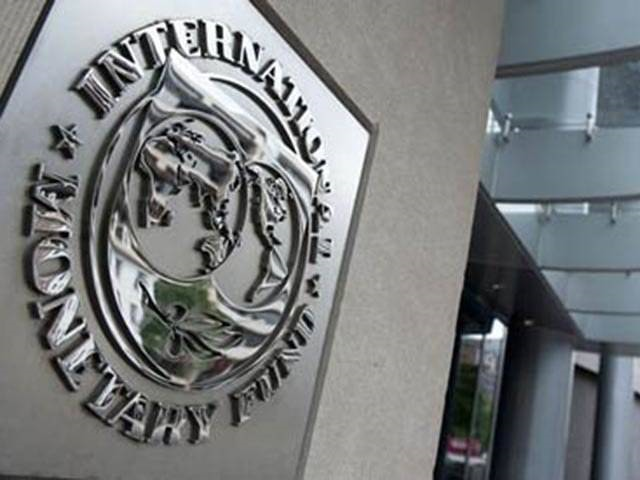 Successive IMF programmes in Pakistan and elsewhere have shown that they provide short-term macroeconomic stability at the cost of growth, while systemic economic problems persist. Is history doomed to repeat itself in 2018? Enter the dragon. China’s $1 trillion multi-continent Belt and Road Initiative (BRI) that seeks to reshape global trade and commerce has given new options to countries in the Global South. Since the beginning of the China-Pakistan Economic Corridor (CPEC) in 2016 — a flagship BRI project — political and economic ties between Beijing and Islamabad have intensified rapidly. China has a vested interest in preventing an economic meltdown in Pakistan, which would endanger its existing and planned investments. Already, it has lent $7.4 billion outside of CPEC over the last 13 months to support the external sector. This is more than the $6.4 billion IMF programme Pakistan underwent during 2013-16. So in a sense, China has already given us a mini-bailout. Apart from protecting its investments, China has larger strategic reasons for replacing the IMF as Pakistan’s chief source of foreign funding. As it competes with the US for global influence, its strategy hinges on expanding alliances through trade and investment, with the BRI as the linchpin in this grand scheme. In this context, CPEC is an important node in the BRI chain. Special economic zones (SEZs) to be set up in Pakistan will serve as bases for export-oriented Chinese industries, helping them remain competitive as labour costs inside China rise. Another critical factor is energy security. Currently, about 80% of Chinese energy imports pass through the narrow Straits of Malacca linking the Indian Ocean with the South China Sea, which Beijing believes could be blockaded by the US navy in a major geopolitical standoff. A planned pipeline in Pakistan allowing China to directly transport oil from the Persian Gulf via Gwadar port, along with similar projects in Thailand and Myanmar, seeks to establish alternative energy supply routes. Letting CPEC fail would entail financial losses, but more importantly, it would be seen as a foreign policy mistake of the Chinese leadership. The possibility of Chinese financial assistance expands Pakistan’s menu of choices, in comparison with the past when the IMF was the only option. By leveraging China’s CPEC-related strategic imperatives, the new government has an opportunity to secure a bailout with less odious terms than in the past. Together with funds raised from global capital markets through bond issuances, this can simultaneously help avert a balance-of-payments crisis and US political pressure that comes with IMF money. The question then becomes, what are the trade-offs from a potential Chinese bailout? A general trend observed in China’s engagement with numerous developing countries is that it does not like to micro-manage. Therefore, any fresh loans to stabilise Pakistan’s economy are likely to come with few, if any, formal constraints on fiscal and monetary policymaking. This would allow the government to maintain a degree of autonomy and give it a better chance of implementing its agenda. On the other hand, some concessions will almost certainly be demanded in return. These may include higher equity stakes in ongoing CPEC projects, a larger role in deciding future ones, and greater market access for Chinese firms. Sri Lanka’s Hambantota port is a case in point, in which China acquired a controlling stake and a 99-year lease in 2017 after the former’s failure to repay loans. And reflecting growing unease about the BRI, re-elected Malaysian Prime Minister Mahathir Mohamad this month cancelled $22 billion worth of Chinese projects, questioning their economic rationale and citing debt concerns. These examples, at the very least, show that the terms for any further Chinese loans need to be carefully considered. Prime Minister Khan and his cabinet must seriously assess the broader impact on Pakistan’s economy of closer integration with China, and devise a policy to balance the potential risks and benefits. In particular, effects on the competitiveness of local industries, fiscal sustainability in the wake of increased CPEC-related infrastructure spending, and the potential for local job creation from Chinese investment all need to be critically evaluated. Keeping true to his pre-election rhetoric, Asad Umar should initiate a debate on these issues in parliament, and build an informed consensus before embarking on the next phase in our economic history.